I've never been to Haiti. Never been much of anywhere really. Sadly, my one and only passport expired without a single stamp. I want to travel though! Someday... soon, I hope! For now, I have to live vicariously through other people's adventures as I enjoy my own here at home. Recently, a friend of both Tim and I made a trip to Haiti that affected him greatly. I've known Joel since I was best friends with his little sister, Kristy Jo, in high school. More years than I care to admit have gone by since high school, and it's only recently that Joel has come into our lives again. He and Tim became fast friends and they enjoy every chance they get to go golfing. Joel's life should really be chronicled in my Redemption Story series' - his testimony truly is one of restoration and it's been an exciting journey to watch. After his trip to Haiti, he came home to our church and shared in part how the journey there and back changed him forever. Today, Joel is keeping a promise he made to help the Haitian people and is planning a fundraiser set on August 20th from 2:00-8:00 at Firm Foundation Ministries in Centreville. It sounds like fun - an amateur BBQ competition, auction and concert with all proceeds going directly to Haiti. You can find more information here. Joel read part of his journal when he spoke at our church and I was touched. Someone commented that they would love to read about the entire trip and I agreed. I asked Joel if he would be interested in sharing more of it with us. He gladly agreed and the more I read, the more my heart melts for the people of Haiti. So, even though I still won't be getting a stamp in my passport, I invite you to visit Haiti with me over the next six days through the words of Joel. At 5 AM I arrived in Detroit and met the nurses from Grand Rapids. Found Haiti workers right away and how cool that we shared a mutual friend from Grand Rapids! Great girls. We exchanged info. Looks like God provided a way to get the boxes of medical supplies out of my garage and into Haiti sooner than I thought. Promised them I would find them a generator too. I will. Arrived in Miami 20 min early and was shocked by the amount of church groups going to Haiti. Different walks of life, different colors, different denominations, one God. Met up with Brent and Pastor Tommy Clements from Baytown, TX and made an immediate connection with him. Emotions started running high on the flight into Port Au Prince. When we broke through the clouds and I saw the mountains I began crying a bit. All the years and thousands of dollars spent on a nation and for a people that I have never met nor soil I have never stepped on. Waiting in Miami. There were hundreds of missionaries going to Haiti. As the plane landed it was nothing but surreal looking at the broken buildings and the skeleton of an of an airplane sitting next to the runway. I saw nothing but broken out windows and crumbling buildings. We got off the plane and walked into the airport where a band played island music. They were hoping to see a hand reach for pocket change and to hear the sound of it hitting the bottom of a cigar box. We went through customs as Brent began the process paying off bodyguards, baggage handlers and customs agents. Money talks and the lack of hassle was worth whatever amount it was he paid them. We loaded our luggage onto the carts and made the long walk to the tap tap for the ride to the GIANT??? Driving thru tent cities and complete and total poverty, I was shocked to find a totally westernized store in the middle of it all - heavily guarded, of course. If you tried to steal they would shoot you - pretty simple. Couldn't believe how nice this place was. Everything and more that I could find at home. Brent bought our lunch supplies for the week and we proceeded back out to the tap taps. From there it was the winding drive thru broken streets and one way traffic at high rates of speed. Tent cities, street vendors, beggars, live animals, trash, and the smell and the dust… the dust – I can't describe that here. It was just dirty. So much trash, but with nothing to throw your trash in.....the streets seem logical. Pile it near an overflowing dumpster and keep your goats and pigs there. If your government has never cared, why should you? The massive gate to the compound.There weregun towers to the right of thisgate for obvious reasons. You can see the razor wire atop these walls. It was everywhere. We drove up the winding mountain street until we arrived outside two very large gates and they swung open right as we pulled up. We pulled in to a beautiful compound with huge stone walls topped with a healthy dose of razor wire. I couldn't help but notice the gun turrets on the tops of the front wall.....found out later they were on the roof as well. The view above the Creche looking at the Dr. Bernard's compound. This was home for the week - the beautiful home of Dr. and Mrs. Jacob Bernard. Dr. Bernard is a Haitian man who was educated in America and owns 2 construction companies, a law firm, an adoption agency, and several schools and orphanages. This man is very wealthy, but has one of the most humble and generous hearts on this planet -simply wonderful people. Brent told me Dr. Bernard has offered to GIVE him the compound 3 times. Brent declined each time. After we were unpacked, I went and looked off the massive covered patio atop the crèche (cradle) and took some pictures of the mountains and valley below. Simply breathtaking view right out my door. I would have this view for the week - thanks God!!! I really do like you a lot!!! The view from my bedroom door. This was home for a week. I walked back inside and tried to see if my Wi-Fi would work on the phone and walked up the three flights of steps (there were 6 flights total) when I suddenly heard the sound of singing in Haitian Creole. It was “Jesus I Adore You”. I followed it to the kitchen where two women were diligently working. They were some of Dr. Bernard's employees, doing dishes and just general kitchen work. It was so beautiful. I had a sudden flashback of playing in the backyard when I was young and hearing my Mother singing in the kitchen as she worked. I started to sing along with them in English and they stopped in embarrassment. I motioned them to continue and we sang the song together in our native tongues. All in praise to our God. “Bela” I said and they smiled. Beautiful. Can't wait to hear the singing in Heaven. I went downstairs to the dinner tables and led prayer for the group so we could eat. I hate it when people are scared to lead in grace when everyone is hungry. Thank God and eat y'all!!! He KNOWS you’re hungry. Food was good. Red beans and rice, mac n cheez, bread and butter and green beans. Not what I was expecting. After dinner it was time for some instruction, sharing and planning for the week ahead. Then some free time and off to bed - mostly just a time to get to know this huge place. I'm going to sleep. I will get to know this place later tomorrow. Thoughts: What did I see today in the eyes of that boy - the boy that was about 10? He was in the red shirt begging at the tap tap. What was behind his eyes? 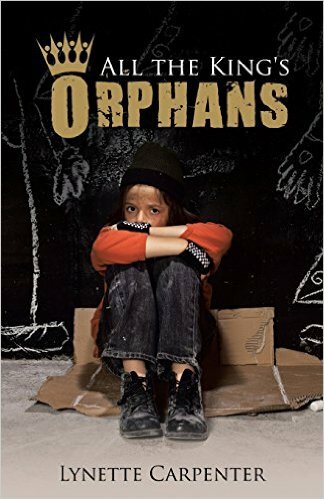 A street urchin… begging… no future…. The strain of trying to find a buck for a meal. A life of bouncing from tap tap to tap tap hoping some fool missionary will give in. What will become of him God? What are your plans for him? Why am I really here? There WILL be prayer before I go to sleep tonight.